We are heading into a grey, mysterious place without the reassuring presence of boundaries, promises Stephanie G’Schwind, the Colorado Review’s fiction editor, at the outset of the Summer 2012 issue. We are headed into that disorienting realm of liminality. G’Schwind is certainly right that the prose pieces (like most fiction and non-fiction that lives within the covers of literary journals) resist pat conclusions, simple conflicts, and moral absolutes, but it is Sasha Steensen, one of Colorado Review’s poetry editors, who comes closer to capturing the experience of reading the issue in its totality. She says the issue’s poetry is “Janus-faced.” I would say the metaphor goes beyond accurate description of the issue’s 37 poems. In fact, I cannot imagine a more stark contrast between a journal issue’s prose and poetry, one made all the more pronounced by the fact that the two genres are not allowed to mingle. Reader-friendly prose is followed by deeply challenging poetry. The prose—5 pieces of fiction and non-fiction—is dominated by female writers. All of them, including William Torrey’s story “The Common Era,” the only one by a male author, feature protagonists dealing with fraught parental relationships. Dee, the main character in Angela Mitchell’s story of shady business and sudden violence in Northwest Arkansas, is betrayed by her mother. (If you live in Arkansas, as I do, or if you’re just a fan of the television show Justified, you will find Mitchell’s depiction of rural Southern desperation and lawlessness eminently persuasive.) Sandra Demerest’s teenaged Swan also feels betrayed by the mercurial Anna who cannot handle the many quotidian responsibilities of motherhood. Three of the pieces locate conflict in parents moving away from protagonists’ childhood homes, most notably Carole Firstman’s nonfiction “Liminal Scorpions,” which seems to function as the issue’s thematic anchor given its title, its expansive twenty-five page length, and its position in the dead center of the journal. All are steeped in you-are-there verisimilitude and culminate with the protagonists achieving some level of deeper insight tinged with melancholy, irony, or both. I found “The Common Era” the weakest of the five because of its predictable premise—the student-teacher affair that can only end badly. The student’s mother, a boozed-up Texas cougar on the make, feels cartoonish, like someone better suited to the current cable reincarnation of Dallas. Because the protagonists are a high school history teacher and a student who writes a disappointingly boilerplate report on Nero, the explicit linking of the disastrous events at story’s end to the fall the Roman Empire will not come as a surprise to anyone familiar with the ways of literary short fiction over the last several decades. Regardless, it does provide a slick tie-in to the issue’s cover photograph, a surrealistic vision of a massive ancient ruin resembling the Coliseum beached in the sand at low tide. As a group, the prose selections are approachable and populated by people who, in the broadest sense, are dealing with conflicts most every reader can relate to. At the same time, they take us into environments—the affluent suburban enclaves of San Antonio, the dust-gathering den of a dying professor—we might never have occasion to visit for ourselves. These are the sort of pieces that those “discerning and well-informed” folks, those “men and women in the dentist’s office, waiting to be called to the chair,” who John Cheever once described as the typical short story readers, would find absorbing. The poetry selections induced grave and near-paralyzing doubts about my fitness to consume verse. In this issue of Colorado Review, anything goes. Okay, that is not exactly accurate. There are no lush sonnets or any minimalist haikus. There are certainly no end rhymes. All of that, along with practically every other vestige of “traditional” verse has been purged in favor of nearly every typographical quirk one can imagine. For instance—and I don’t believe this constitutes an exhaustive inventory—the reader encounters an extra space or four between words (E.C. Belli’s “In All Probability" and James Henry Knippen’s “From ‘Dinner Table’ (Conversation at the)” ); a dusting of ampersands (Tory Adkisson’s “Homosexuality”); parentheses on top of parentheses inside of brackets in Brenda Hillman’s “Imperishable Longing To Be With Others”; extended lines of periods separating stanzas (a visual representation of that liminality theme the editors promote?) in the poems by Eryn Green; and enjambment so abrupt and severe, such as “You can / -‘t get” in Caroline Manring’s “How to Care for Lab Animals” it results in a kind of reader’s whiplash as the eyes jerk down to catch the rest of the word. Thom Donovan’s “Literal Blood” spans several pages. Each section starts on a new page. The sections are not labeled or numbered, nor do they share a sameness of shape. It is a disconcerting tactic because it looks as if there has been an egregious typesetting error. Someone has accidentally forgotten the titles, I thought for a moment, before it all clicked. Nevertheless, the poems represent free verse poetry at its most blithely chaotic. 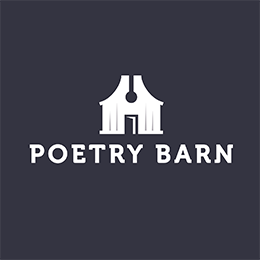 In fact, the poems, as a group, revel so ecstatically in their freedom from rules of any kind that they run the risk of pushing the reader toward sensory overload. There is scarcely a moment for the eyes and the mind to feel at ease. Each poem demands a full recalibration of expectations and interpretive strategies. As exciting and challenging as such unpredictability can be—and that unpredictability applies to the fact that among the poems are translations and collaborations—can the challenge prove too much? While reading, I could not shake the feeling that I was having to work very hard to make meaning out of the poems. Colorado Review’s poetry editors—Matthew Cooperman, Donald Revell, and Steensen—unabashedly endorse the oblique, the cryptic, the obscure, the borderline impenetrable (at least for this reader…as I said, my struggles with these poems brought me to a near crisis state). With several of the poems I longed for nothing so much as a few flat-edge puzzle pieces with which to make a border that would contain and clarify meaning. Given that this is, after all, Colorado Review, I will go for a geographically appropriate comparison. What we have in this issue is the poetry equivalent a double black diamond ski run: for experts only.